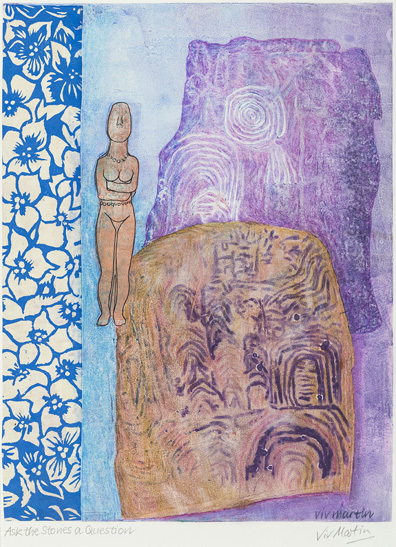 Gavrinis is a very special place and difficult to reach as it is on a small island in Brittany. 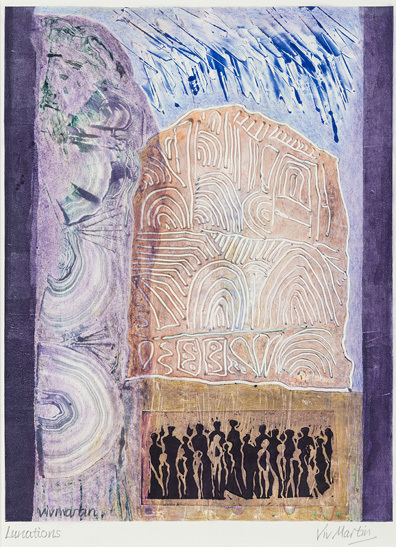 It is a megalithic monument, a sacred place, whether tomb or temple. 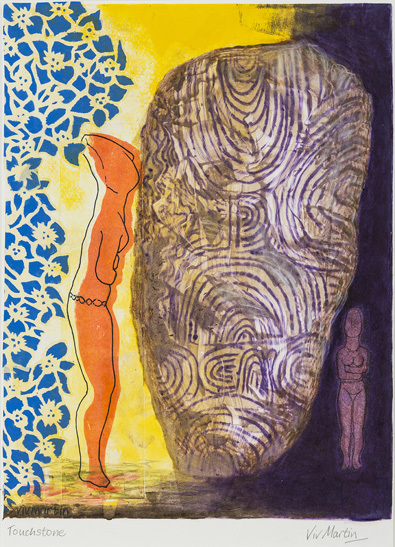 It has more than twenty large, richly carved stones. 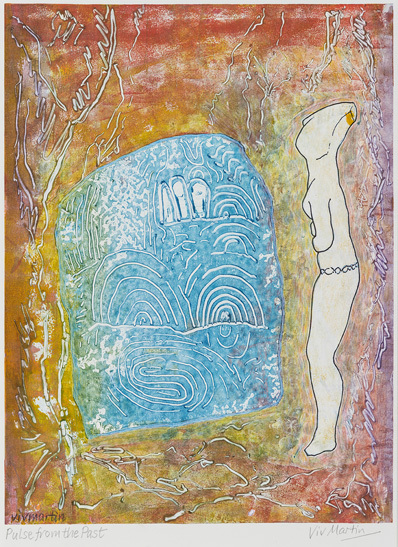 Many of the symbols, curving lines and bowl shapes, seem to be very feminine, about birth, nurturing and making connections. 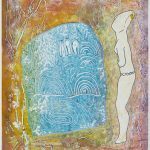 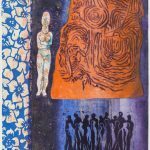 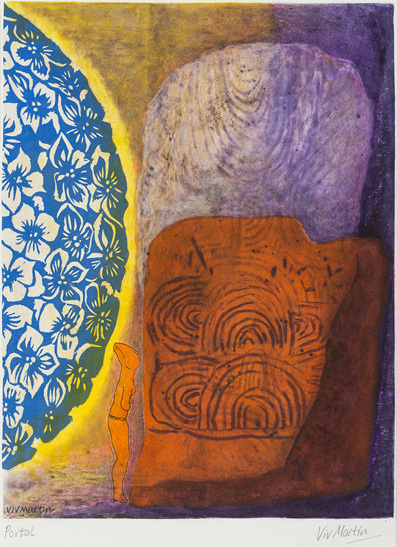 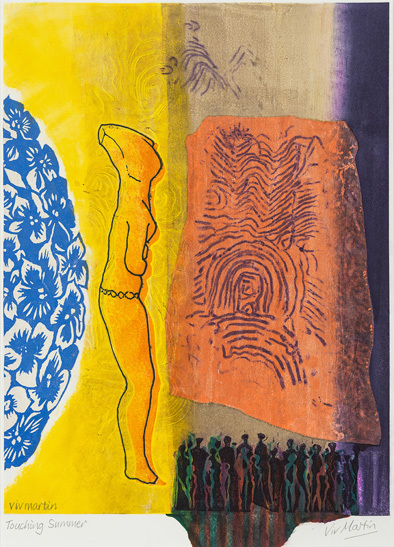 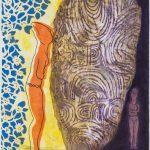 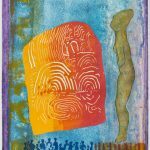 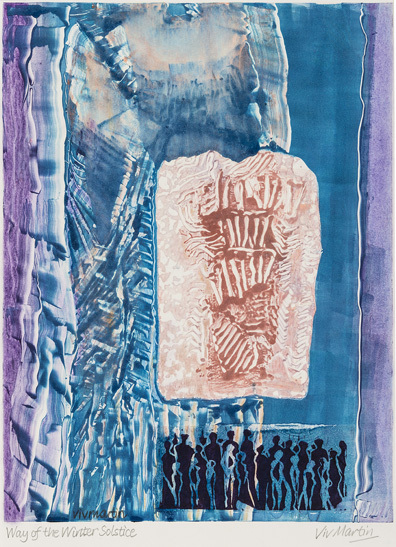 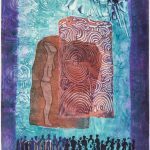 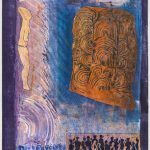 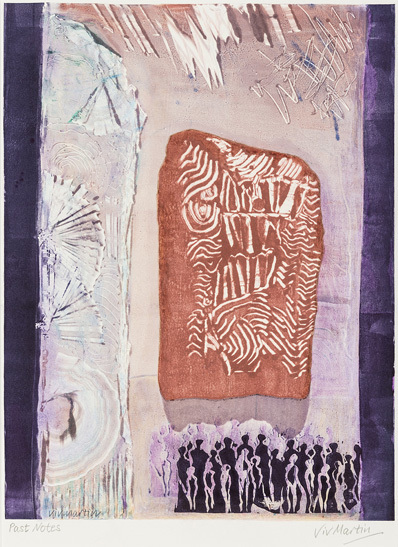 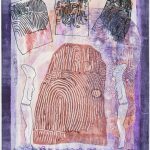 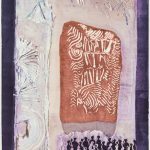 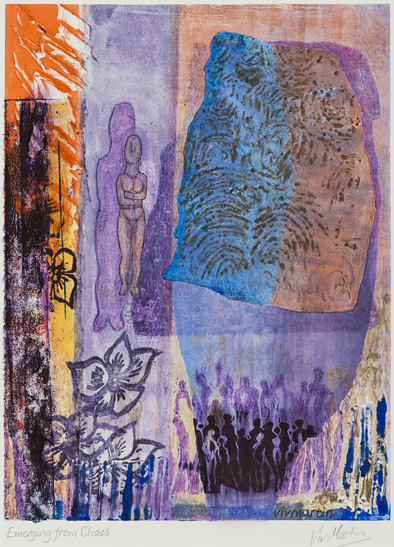 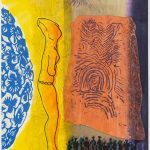 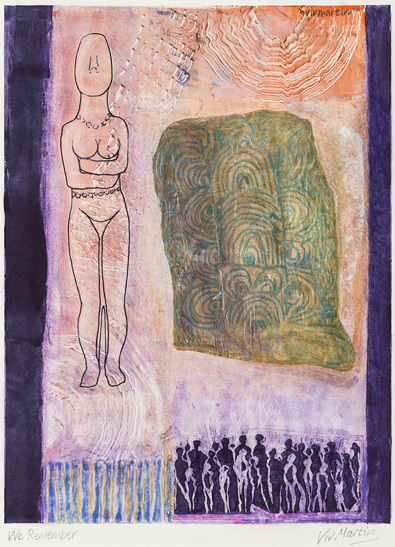 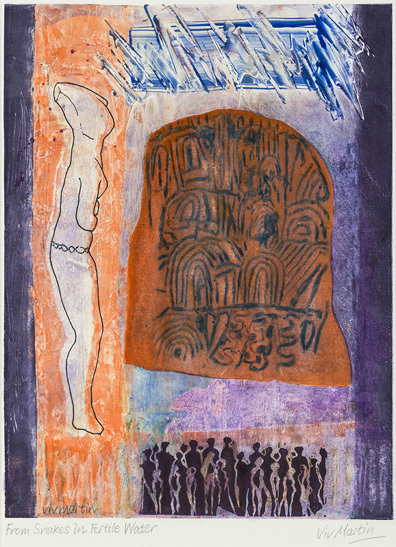 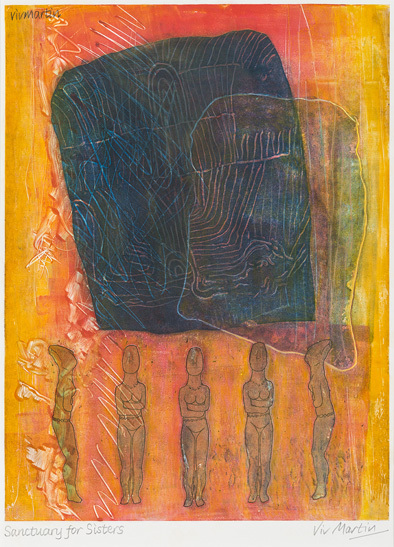 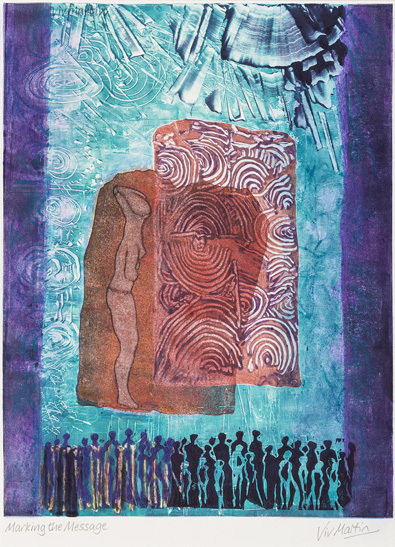 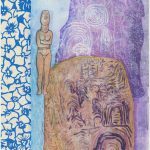 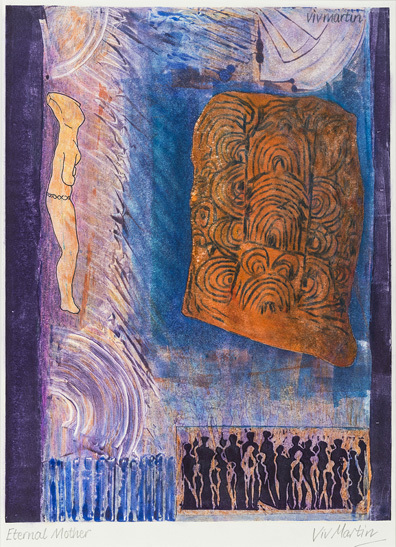 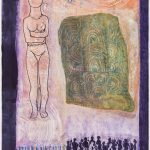 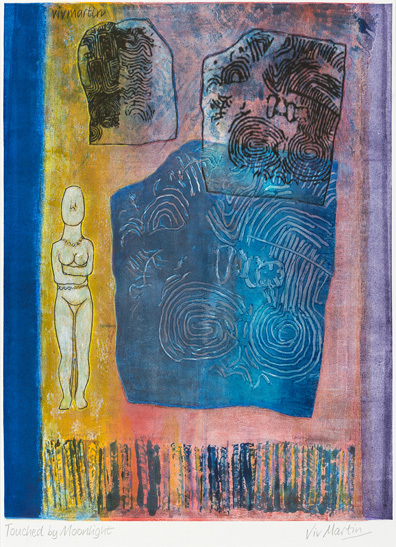 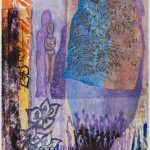 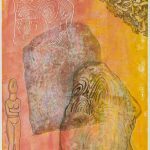 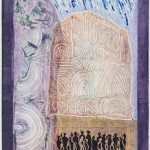 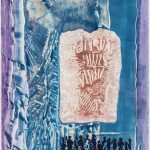 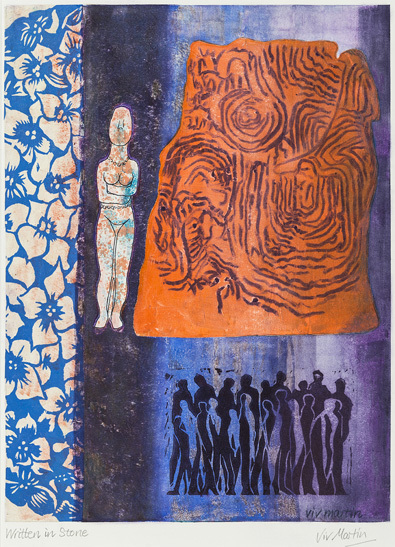 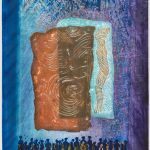 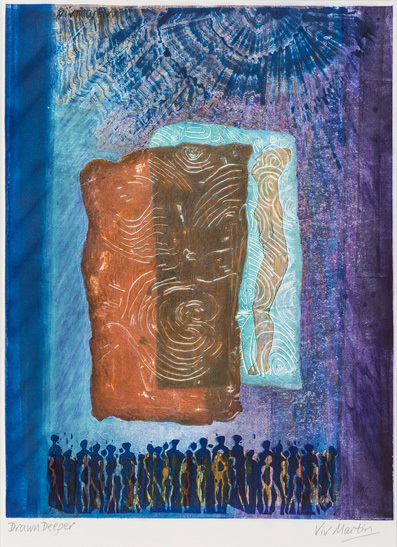 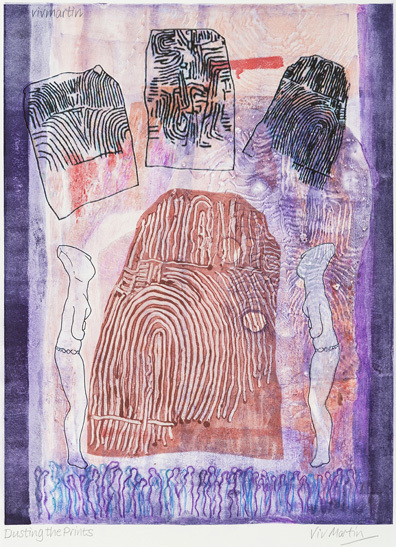 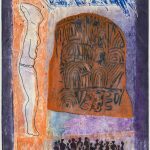 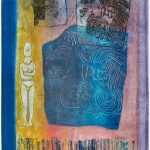 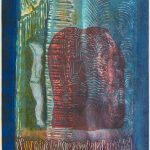 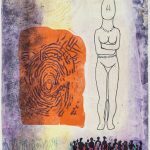 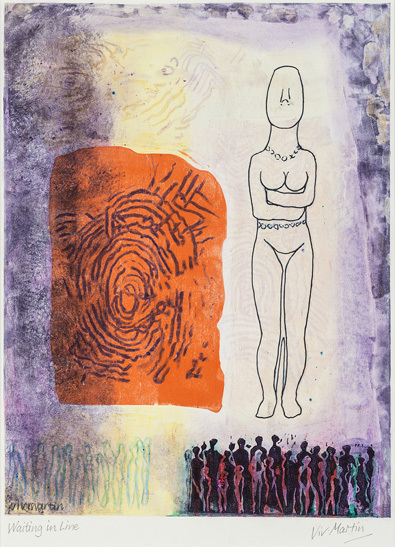 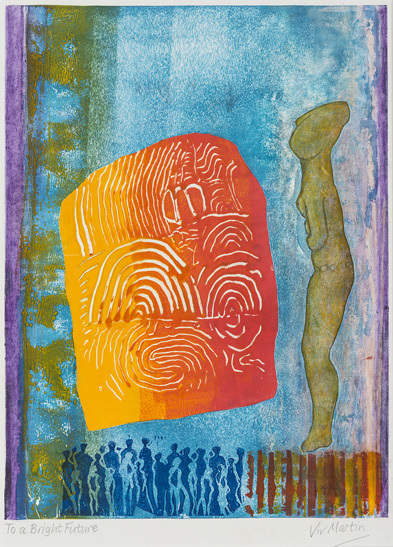 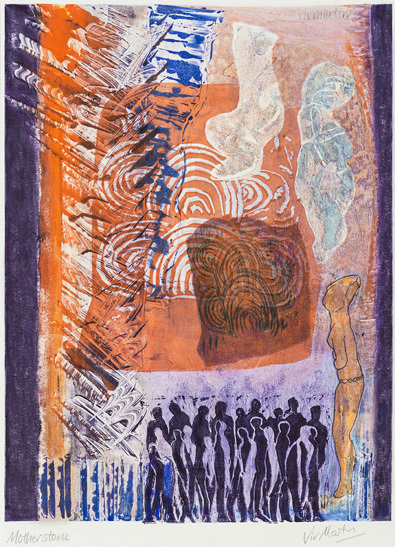 In this set of monotypes I imagined that a woman from the Greek Cycladics might have visited this sacred place. 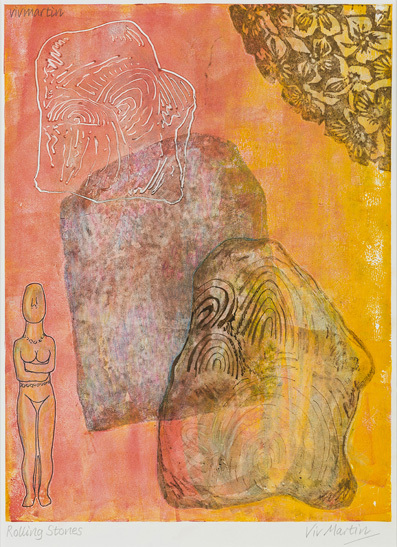 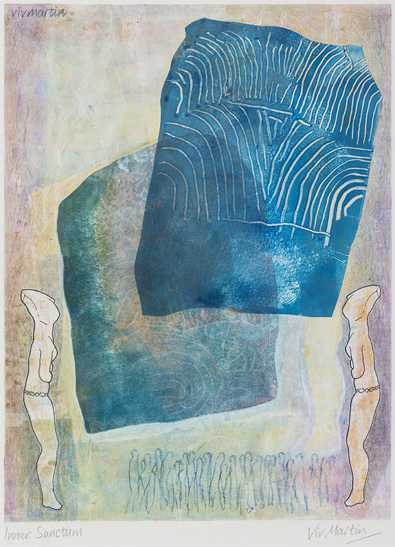 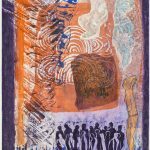 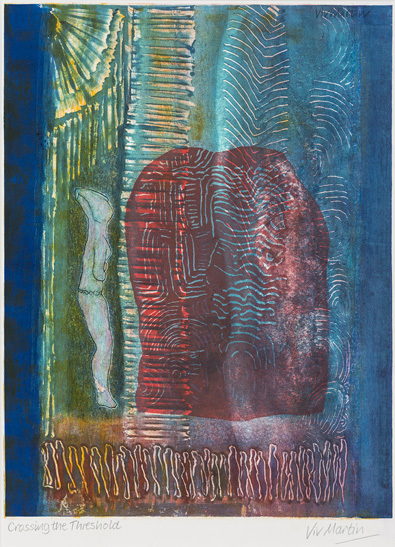 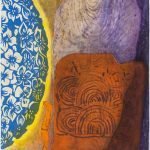 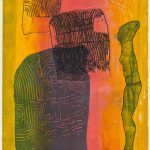 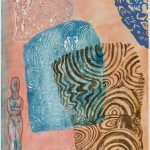 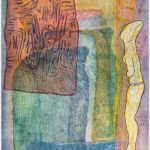 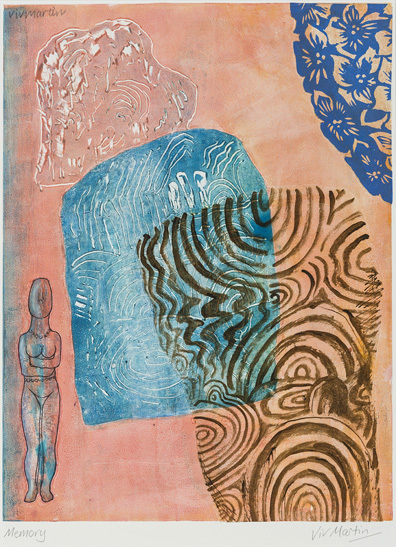 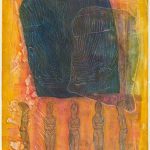 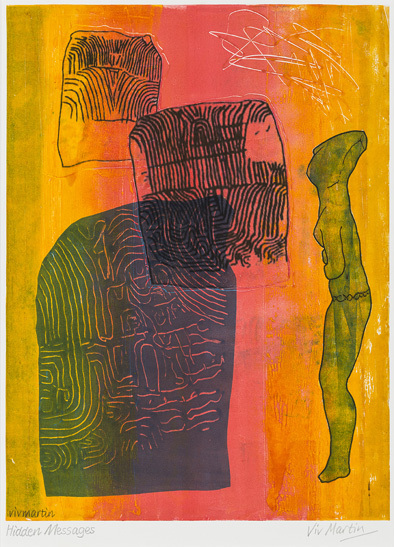 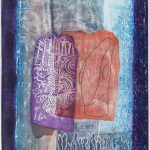 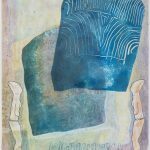 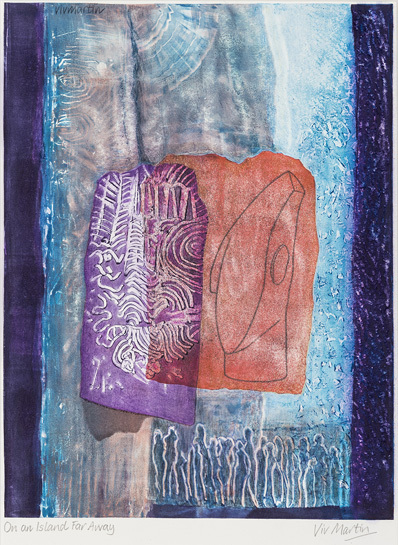 Each monotype is printed onto Arches 88 paper using Akua inks and other materials. 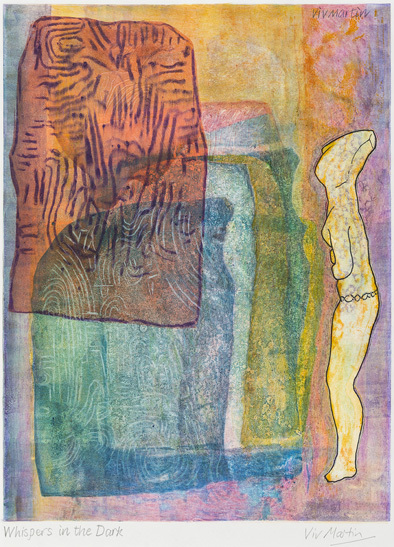 These prints are available framed (h55 x w46cms) at £250 each, or unframed for £220.